I don't know if I've ever shared this on the blog, but geography and the environment have always been fascinating topics to me, so much so that my major in university combined both! For as long as I can remember, I've had an appreciation for nature and organizations or companies that make an effort to better their carbon footprint. Funny enough, I was never taught about veganism in my formal education, and it wasn't until a few years ago that I decided to make the switch after doing my own research, and one of the major reasons I did so was that going plant-based and changing my consumption habits actually do make a huge impact on bettering our planet. 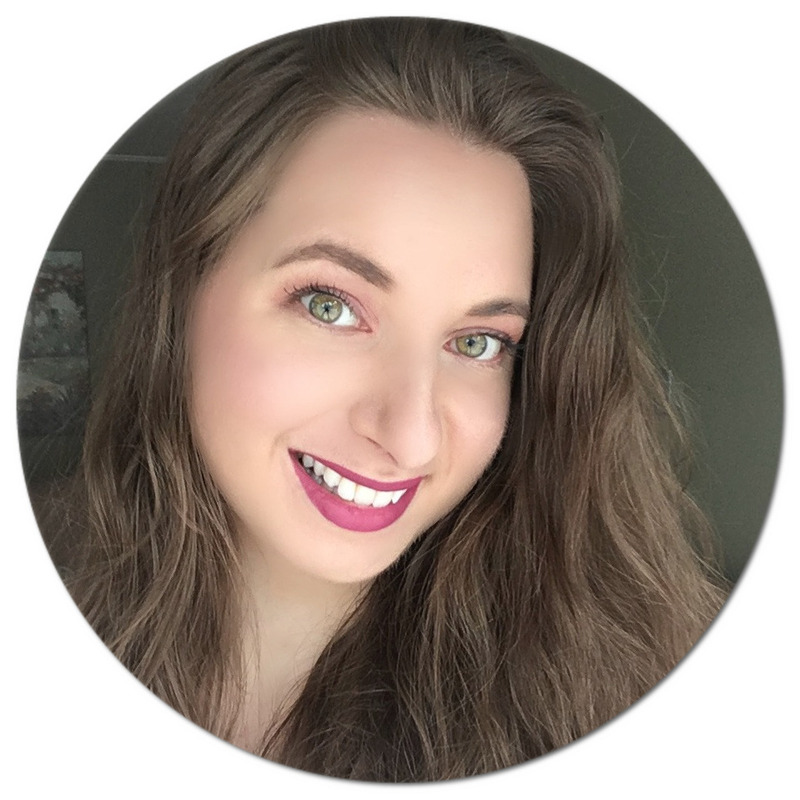 I've been working in partnership with Yves Rocher* for nearly a year now, and while I was familiar with the brand before, I did not realize how environmentally-friendly they are, which of course made me want to learn more about what they do! Yves Rocher is conscious about the ingredients that go into their products, which contain over 250 active botanicals that are sourced from around the world and that have been carefully selected by their research teams for their cosmeceutical properties. From chamomile cultivated at their 55 hectare farm in La Gacilly, France to working with local women in Morocco who produce certified organic argan oil and who also receive a fund as part of Yves Rocher's development program for fair treatment of workers, it is evident that the respect of nature and its employees are at the forefront of their mission. They do not use genetically modified ingredients, with preference given to certified organic ones. The brand has also been cruelty-free for nearly 30 years and their focus has been on reducing waste by using recyclable plastic in the packaging of many of their products as well as developing biodegradable formulas. They are constantly working on new innovative products and on bettering their existing line of products. I want to share some of my top green picks from their line, including some new eco-friendly products that have just come out! I mentioned the I Love My Planet Radiance Shampoo (C$5.95) in my recent empties video and I just love how soft and shiny it makes my hair look, and what is even better is that for each bottle that is sold, a tree is also planted! Enriched with lemon juice which is known to create a brightening effect as well as vitamin E and both a botanical cleansing base and detangling agent, this shampoo is made with a biodegradable formula that is suitable for all hair types. I'm also a big fan of their new Low Shampoo (C$5.95/US$6), which I reviewed in detail in this video. It's an all-in-one product that will save you both time and money while being good for both your hair health and the planet. Recently added to their I Love My Planet line, the Concentrated Shower Gels (C$8) come in 100 mL bottles, which equals to about 40 shower uses - a more eco-friendly version of their 400 mL counterparts. Available in three scents: Mango Coriander (my favourite! ), Olive Petitgrain and Bourbon Vanilla, the formula is preservative and paraben free and the packaging uses 50% less plastic and greenhouse gas emissions compared to their original full-size bottles. The concentrated botanical cleansing base allows for the tiniest amount to slightly mousse and easily spread when massaged into the skin. These would also be perfect to take on holiday or a weekend getaway to save on space! Speaking of eco-friendly packaging, the Hydra Végétal Refreshing Cleansing Gel (C$16) comes in an eco-friendly tube that is made with 25% less plastic than its previous version. This refreshing face wash is made with maple sap which has been sourced from an eco-conscious supplier and the formula contains 93% natural ingredients. Free of mineral oil and paraben free, the product has a fresh scent and does not leave my face feeling tight or dry like other gel cleansers I have tried in the past. It lathers very lightly and I love using it in the morning to really wake me up and start the day with a clean face. A product that I have also really been enjoying is their Scrub to Mix (C$18). It allows you to custom make your own exfoliating wash by mixing the powder into your gel cleansers. It is made with 100% natural ingredients and is basically a mix of pumice, green clay, apricot seed powder, Baikal powder, sugarcane, chamomile and cellulose. Just combine up to half a teaspoon of the mix into your cleanser and it will help slough off dead skin cells when massaged in circular motions and reveal a brighter complexion once rinsed off. I've been using it once a week and love how smooth it makes my skin feel and how gentle and non-abrasive it is too! On days when I wear a full face of makeup and need something a little more heavy duty to wash everything off, I've been reaching for the White Botanical Exceptional Cleansing Oil (C$20). The application process is quite interesting since it is meant to be applied on dry skin. I squirt a bit onto my hand and then massage it onto my face until it starts foaming and dissolving my makeup. While it feels oily at first, once it is rinsed off it does not leave an oily residue. The active ingredients are white lupin extract and licorice powder which were discovered to be anti-aging and help maintain a youthful appearance. I was pleasantly surprised by how well this cleansing oil removes my makeup and have been reaching for it regularly. 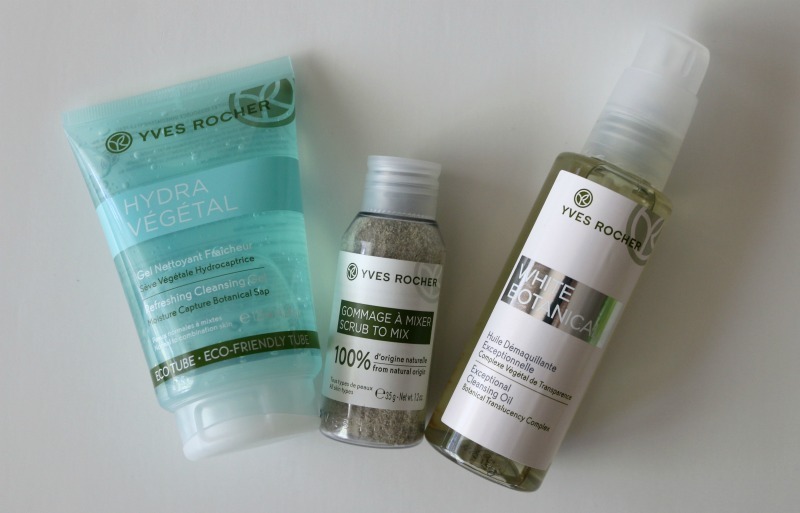 And there you have it, some of my top green recommendations from Yves Rocher! Are you familiar with this eco-conscious brand? Which of these products would you be interested in trying? *Disclaimer: This post was sponsored by Yves Rocher. Some affiliate links are provided. All thoughts and opinions are my own. I really love supporting companies like this that are concerned with their environmental impact and also give back. I was not familiar with this brand but they certainly are doing great things. I would love to try the Scrub to Mix! 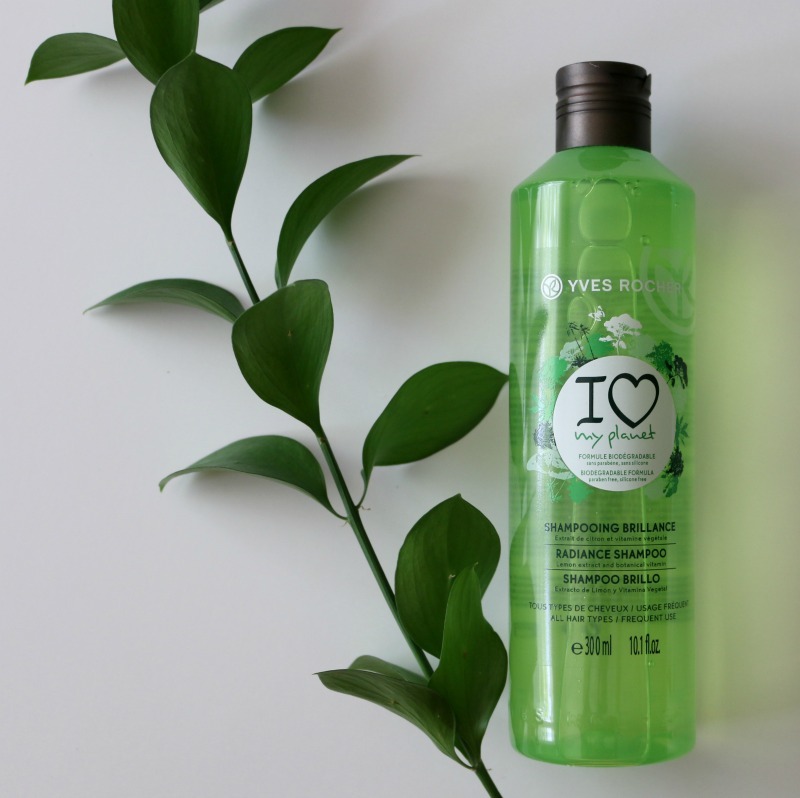 I love my planet too and Yves Rocher has been a brand we have used in our family for decades! Love it! I LOVE the idea of a tree getting planted for each thing that is sold here. What a wonderful idea I am so glad to read this. I will definitely look into these products. I never realized how environmental the Yves company was. Always looking for products made naturally and like you said decreasing the carbon foot print we leave behind. Will be looking for more of these products to use. I love companies that support the environment! This product sounds like a great one and I can't wait to give it a try! I want to try this in the worst way! I've been moving away from man made products and towards all natural products. They're so much better for us. The I Heart My Planet line is really cool! 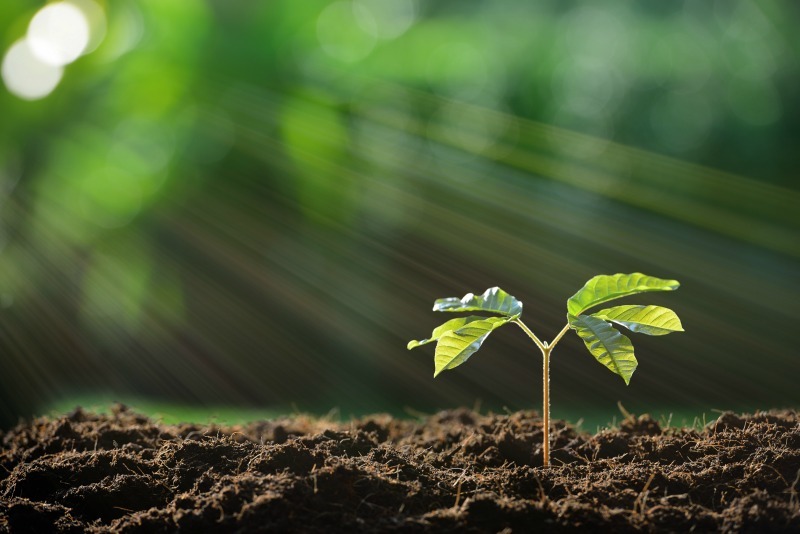 It's great to not only have high quality products from a great brand, but to also have those products be good for the environment. It's a win-win situation for everyone. I think it's great when companies think about the environment and the effect we can have. It's great to know that there are people out there trying to make the change. I love the idea of using lemon juice, I know how good it is for your skin! I need to work on a better skincare routine. This whole line of products sounds really nice, and I love that they are eco-friendly. I've been looking for beauty supplies like this. I care very much about the environment as well as what goes in and on my body. I love any skin care line that is based with botanical. They make my skin feel so good and they smell amazing! Yves Rocher is a fantastic company. They have such a great selection of products. There is something for everyone. This is really wonderful! I try to make small changes in my every day life that help the planet, and this is a product I am definitely going to be trying. I like everything about it from its natural ingredients to the use of less plastics. We all need to be making better choice for our environment. That was awesome! My family is very organic! My mom will surely love this brand! I haven't tried this brand, but their products look awesome. I would love to try the shower gels. I've ordered products from Yves Rocher before! I love their deals and promotions! The products are pretty amazing too. It feels so good that there are more and more companies that choose to focus on eco-friendly products these days. I think it's awesome and it's definitely so much better for our health. I've yet to try Yves Rocher though. I love their skincare line. I have been using it for a while now and I love how my skin is looking. I always enjoy trying new green products. I will have to check these out! It's been a while since I've shopped for Yves Rocher. Now that I know about the green initiatives that's going to change! This looks like some really nice products. I do love Yves Rocher. They always have some nice stuff. I love that this brand is eco friendly. I haven't ever used it, but I would love to try it out. Brands like this make me super happy because they're not just helping the consumer, they're helping the environment. I haven't ever heard of this brand but I love that it is eco friendly. I would love to try the shampoo. Eco friendly products are so great and deserves more exposure! This is great. Glad that you got to present them to us. Thanks for the recommendation! I want to try the shower gel. Always appreciate a good eco-friendly products! 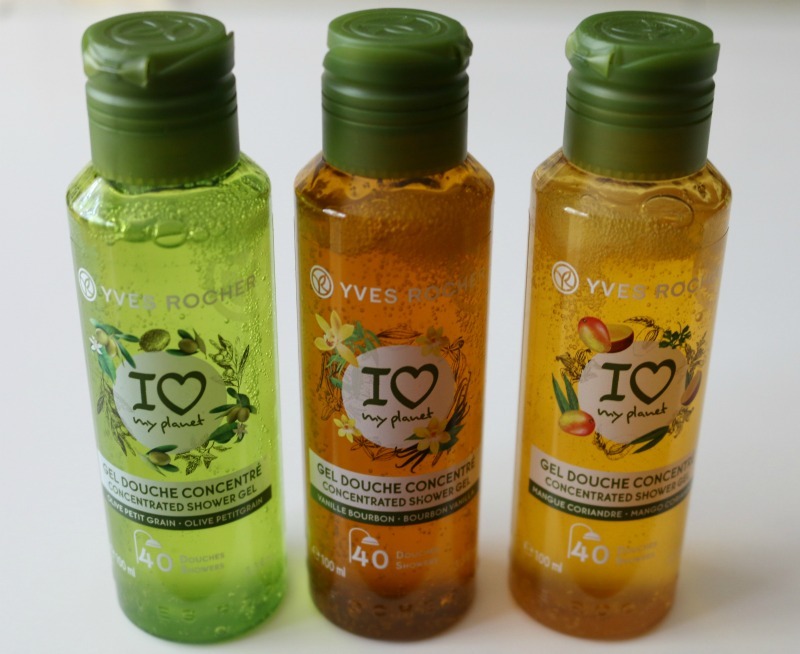 i like Yves Rocher products. I haven't heard of these but, love products that are complimentary to our environment. Will check it out. I remember using items from that company, in my teens, in the UK. It's great to see that they are still sound with lovely beauty products. Love eco-friendly products! Those shampoos have my name on them! I always enjoy trying new green products. I will have to check these out for sure. Oh i haven't heard of this product before but this looks awesome. Knowing that it can help the environment. How cool, I didn't know about these but I really love eco friendly! I love it when brands have pretty packaging. This brand sounds like a good one to try. I really love trying new skincare especially from organic ingredients. These are perfect to my sensitive skin for sure. Mostly, I do love the packaging of a brand and if it is made from organic and eco friendly ingredients that's what I like to try a skin care. These are all great eco-friendly products. I try to buy things that are eco-friendly because it is safer for me and the enviroment. All of the Concentrated Shower Gels I would love to try. Thanks for sharing these awesome products. This is the first time that I've heard of this brand. Sounds like a great brand though. I think I'll try the shampoo and shower gels first. I love the sound of these products, especially the Hydra Végétal Refreshing Cleansing Gel. I'll have to give it a try someday! I am trying to buy more eco friendly products, so I will have to try their shampoo! Looks like a nice collection of products. Wow! I would live to try all of these. I'm sure it is good and great for us. These sound like awesome eco-friendly products!